The Tony-winning comic operetta that travels a roller-coaster of romance & murder. Set in London in 1907, A Gentleman’s Guide to Love and Murder centers on Monty Navarro, a penniless clerk who is informed after the death of his mother that he is ninth in line to inherit the earldom of Highhurst, controlled by the wealthy D’Ysquith banking family. After the imperious ruling Lord dismisses Monty’s claim of being a relative, the eight D’Ysquiths ahead of young Mr. Navarro begin dying in natural and unnatural ways. (A single actor plays all the not-so-nice D'Ysquiths, adding to the merriment.) Meanwhile, Monty is trying to woo money-minded Sibella Hallward —until he finds himself drawn to young Phoebe D’Ysquith. How will all these convoluted storylines come together? 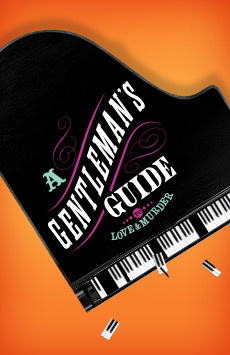 What A Gentleman’s Guide to Love and Murder Like? Winner of the 2014 Tony Award for Best Musical, Gentleman’s Guide is a roller coaster of quick changes, clever wordplay and great singing. Once the murders start happening, it’s fun to try to figure out the fate of the next D’Ysquith relative Monty sets his sights on, as well as to observe his increasingly desperate attempts to juggle the affection of two beautiful women. The action never stops in this zany musical, and audiences love every minute of it! 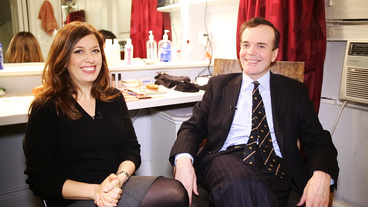 Is A Gentleman’s Guide to Love and Murder Good for Kids? As the title implies, there’s a lot of murder in this musical, but it’s portrayed in the heightened style of a comic operetta, not an action movie. Kids ages 10 and up will delight in Monty’s plotting and romantic hijinks and in seeing what happens to all the odious D’Ysquiths.